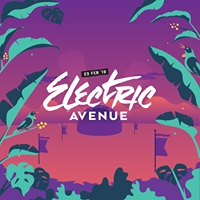 Electric Avenue Music Festival is back for 2019! Join more than 26 artists in Christchurch's Hagley Park across three massive stages. This one is not to be missed! Electric Avenue 2019 is Strictly R18.